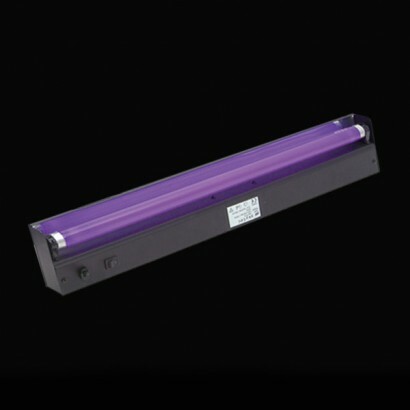 This UV Blacklight fixture is large enough to light a cabinet or stretch of a bar and will super-charge Glow in the Dark and fluorescent-coloured items. This fixture is designed to be mounted on tables, walls or even on ceilings with the supplied mounting screws (some DIY required). Made of sturdy metal and brandishing a high-powered fluorescent tube this professional grade appliance is available in three sizes where the power of the bulb increases with size for a superb price. Take your home disco, karaoke and parties to the next level. Comes fitted with a 1.52m (5 foot) AC power cord ready to go. Purchasing process is great. But, don't ever email me at 00:50 again, you have just woken me up! The Glow Company Says: Oooops! Sorry Steven, but thanks for the great feedback!